I had a fun little experiment earlier this evening. 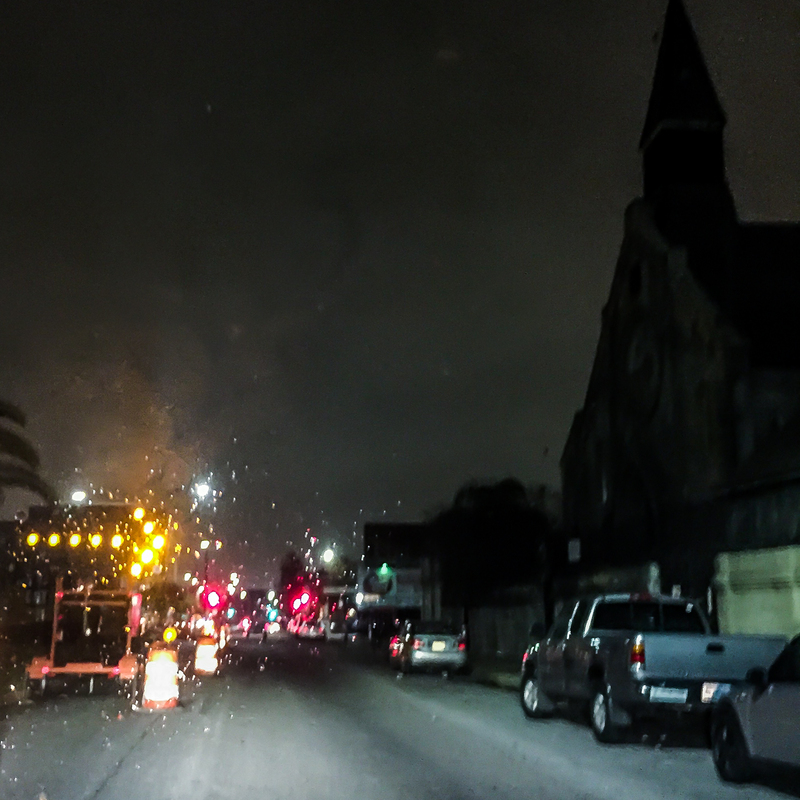 I made a meandering drive around the city playing around with the photo tricks on my iPhone 6. I’ve had my new phone for a month or so but haven’t really taken much time to explore the different functions. I have this odd infatuation with the Hipstamatic app so I usually open that up when I’m shooting anything that requires what I consider an “artistic” perspective, whatever the hell that means. The Hipstamatic is a clever camera app that lets you buy various “kits” of vintage style lens and film, and you can shoot them in any combination to get interesting retro-look snaps. They even let you change the appearance of the app on your screen by offering different “cases” but I don’t see the point of that. Still, even though something about the pre-programmed distressing of photos kind of bugs me, it’s a fun and addictive alternative when my camera is either not handy or not necessary for the shot I’m seeking. You can see examples from this app in a few of my posts this month, like all the portraits in this one or all the random objects in this one. But I know the included camera in this version of iPhone is purported to be pretty snazzy. It supposedly gets a lot more quality out of its 8 megapixels than you would expect. My experimenting did not involve getting into the built-in editing features or technical specs. Here’s one review that does. I just wanted to try out the different formats, including the video mode, from which I could cull some stills and post them here. I didn’t have anywhere specific in mind, so I propped the phone on the dashboard mount that I have in my Honda Element and just drove. The lens was focused on the road ahead but also kind of upwards, with a big sky view, and it was already after dusk when I set out, so it was a good opportunity to see how the camera handled dark shots. It’s a good measure of any phone camera’s quality, by the way. If you want to test out the camera, see how it does with low-light photos, how it handles both flash and non-flash. There was a substantial amount of weird glare and strange reflections on the photos and videos that were shot through the windshield. I mostly cleaned them up in editing, though some of it adds a funky ghostly quality. I parked and got out of my vehicle only once, to try out the panorama function on a car wash uptown. I also shot, almost accidentally, a series of really cool self-portraits of my shadow from the streetlamp reflecting onto the street. 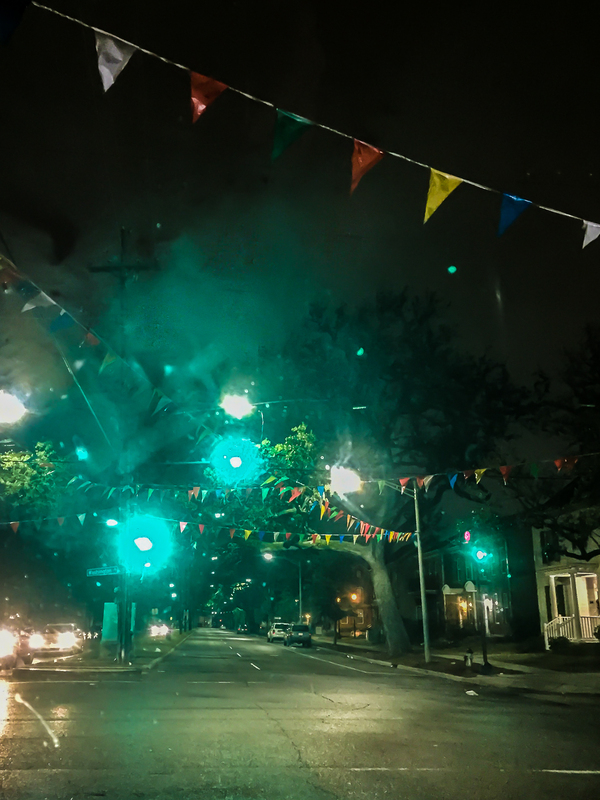 “Flags”, NOLA, 12/28/2014. Format: digital via iPhone 6 from moving car. “Car Wash”, NOLA, 12/28/2014. Format: digital via iPhone 6, panorama function. 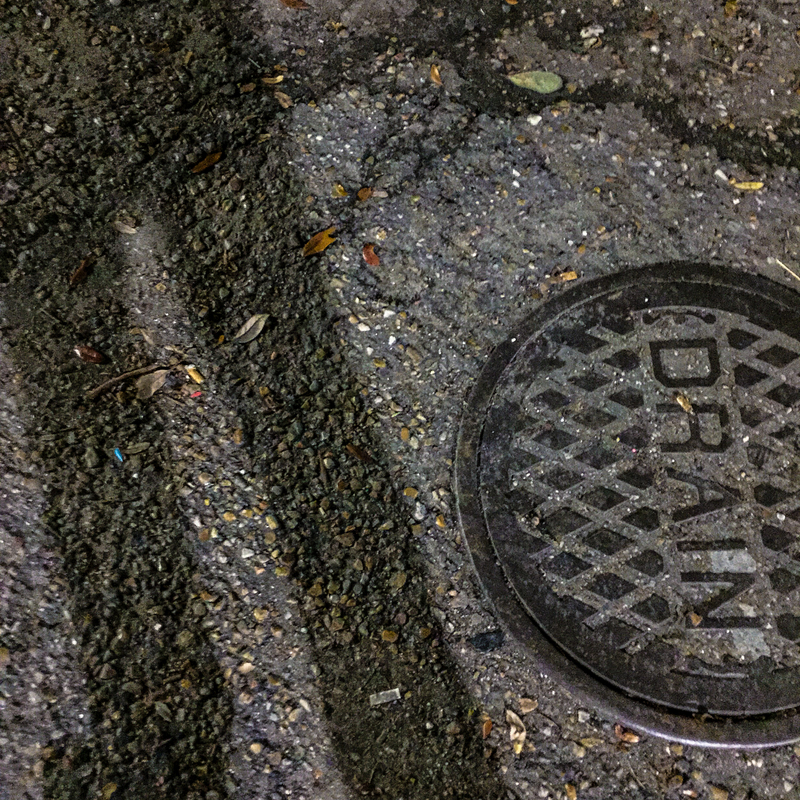 “Self-Portrait with Sewer” NOLA. 12/28/2014. Format: digital via iPhone 6, square format. “This Way” NOLA, 12/28/2014. Format: digital via iPhone 6, square format from moving car. 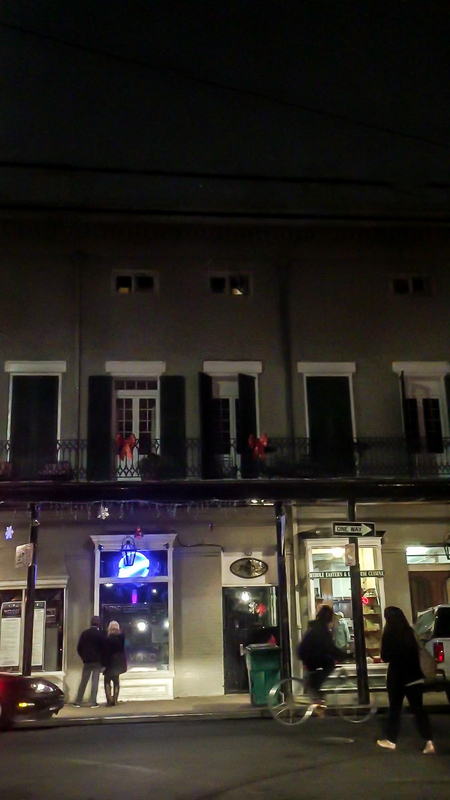 “Frenchmen Street” NOLA, 12/28/2014. Format: Still frame from iPhone 6 video. 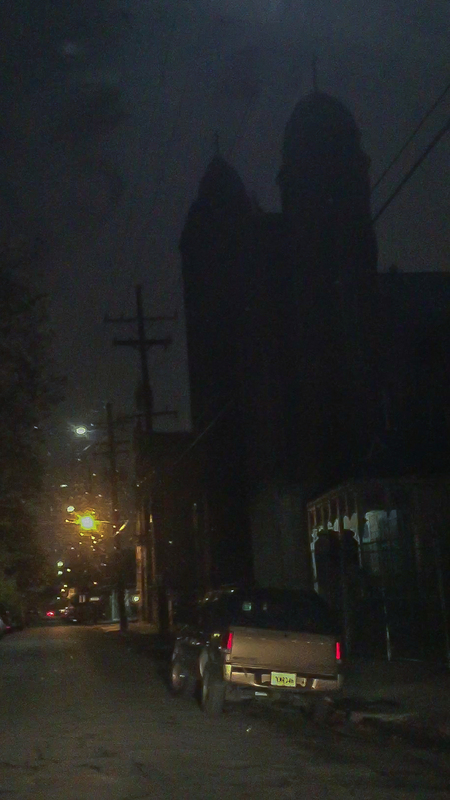 “Church” NOLA, 12/28/2014. Format: Still frame from iPhone 6 video. 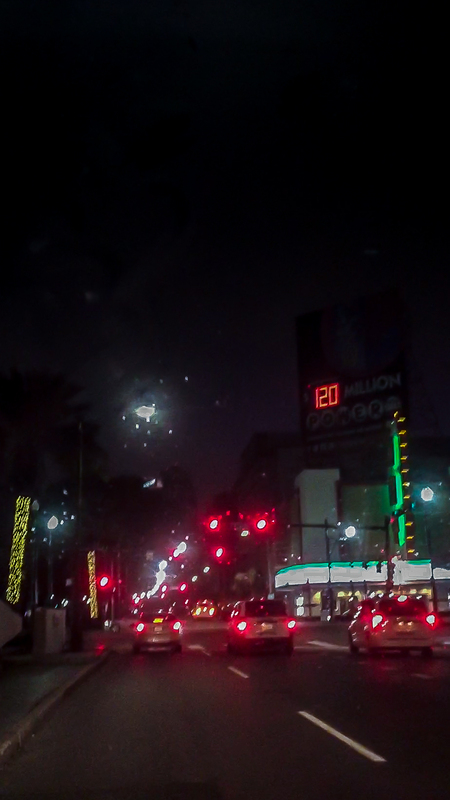 “120 Million” NOLA, 12/28/2014. Format: digital via iPhone 6 from moving car.